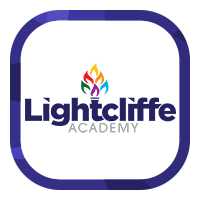 Our aim at Lightcliffe Academy is to ensure that all students receive the very best support and guidance to enable you to progress successfully beyond Year 11 and Year 13 in to further learning opportunities or employment ( at the end of Year 13). My name is Lindsey Woodward and I am the Careers Adviser employed by C&K Careers working in Lightcliffe Academy. I work with students in all year groups providing career-related, impartial information, advice and guidance. I can help students to think about career plans, subject choices, options after Year 11/Year 13 and also signpost students to support services. I am available in school on Tuesdays, Wednesdays, Thursdays and Fridays and I’m based in the Careers Room in E2 block. All students have access to the careers resource centre situated in the main school library. Here you will find literature and resources to aid you in making well-informed decisions about your future. In school, I work mainly with Year 11 students; helping to make sure they are aware of all their post 16 options and supporting them with their career plans. I offer at least one individual or small group appointment, either in Year 10 and/or Year 11. Students are informed of careers appointments via tutors or class teachers and all appointments are highlighted on the daily register; however, self-referrals are welcome, so please let me know if you would like an earlier appointment or if you feel you would benefit from a second interview. I offer a drop-in service for any student at break or lunch where they can come along to request an appointment or ask a quick question. If parents/carers wish to attend careers meetings or have any questions, please do not hesitate to phone me in school or use the email address below. 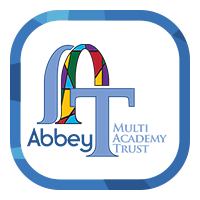 I also provide advice and guidance for students and their families at various key events through the school year such as parent’s evenings, 6th form open evening and the Year 8 GCSE Options Evening. Occasionally I may come into PSHCE lessons or assembly to talk about career topics such as the qualifications on offer post 16, the advantages of reaching your potential and attending school regularly and also option choices in Year 9. The service offered by C&K Careers continues at college and beyond as we offer lifelong careers advice for young people and adults through our centres in Huddersfield, Halifax and Dewsbury and other provision in the community. If you have any questions or can’t find what you are looking for, please don’t hesitate to contact me via e-mail at lindsey.woodward @ckcareers.org.uk. I can also be contacted in school at lwoodward@lightcliffeacademy.co.uk or on 01422 201028. There are also lots of Career focused resources available within the Digital Resource Library, which is available outside of school by using foldr.lightcliffeacademy.co.uk - resources are organised by age, interest and subject. You will find links to various useful websites where you can find lots more useful information about careers, subject choice, CVs, further and higher education, apprenticeships and much more.